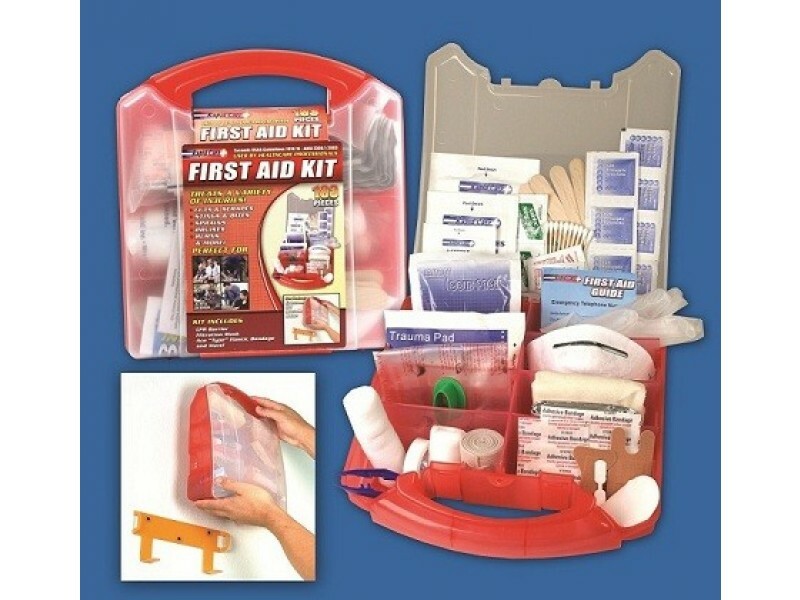 This comprehensive first aid kit is packaged in a red plastic case and detachable wall mount for easy access in a time of need. 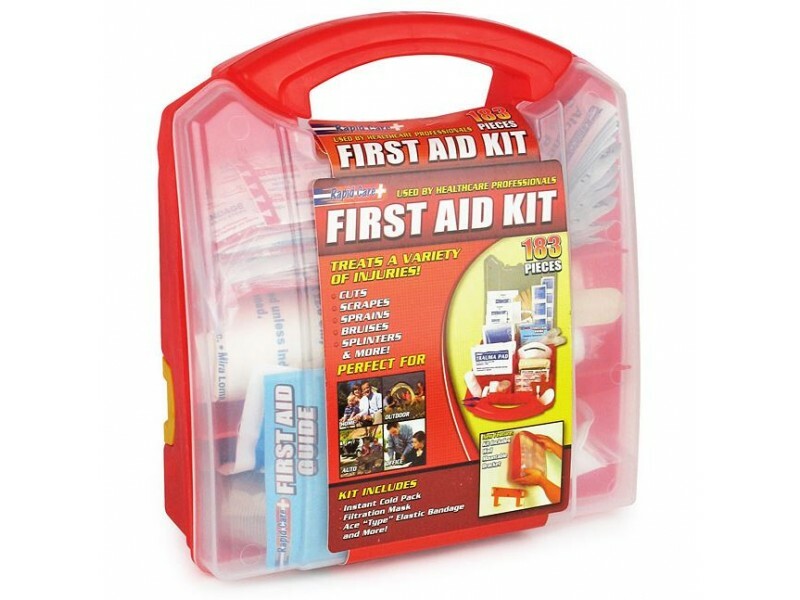 This 183 piece first aid kit meets OSHA requirements for a 35 employee job site or office. 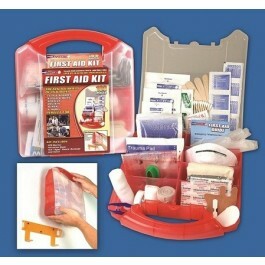 This is a ideal first kit for light to medium Industry, contractors, offices and construction sites. This kit is also great for large family homes. 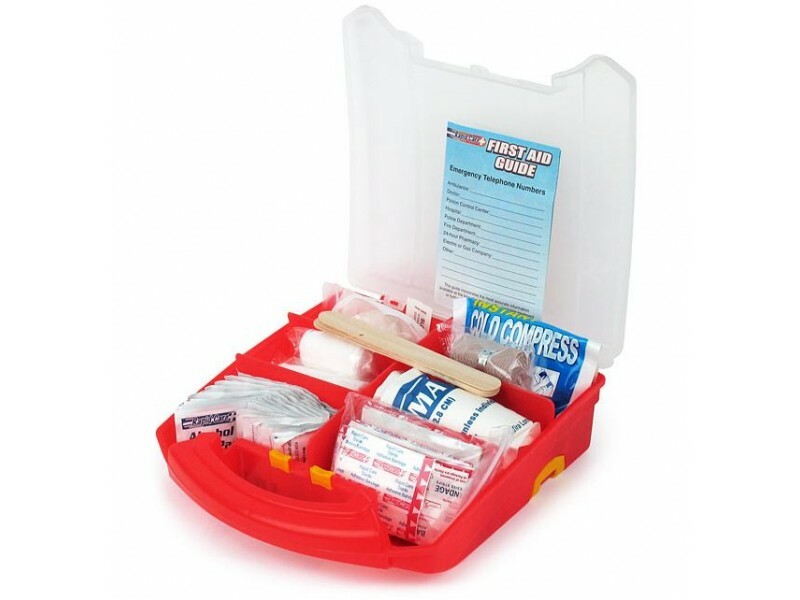 The kit contains an assortment of first aid items to treat minor injuries on the job. All items are packaged in a clearly marked plastic case with handle and wall mount bracket.